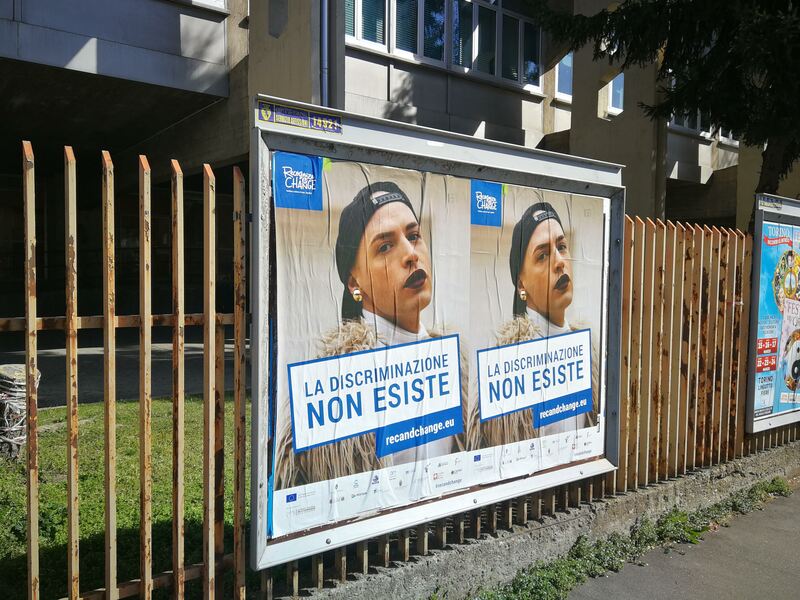 Raising awareness about discrimination in Italy. We recently created a series of out-of-home advertising billboards in Turin, Italy. The billboards have been used as an activism campaign as well, involving our youth partners. Let's spray together against discrimination!